The 1967 release of the Shore Patrol set (7612) is a challenging set to complete as it was apparently only available for one year. The white billy club in the spin properly belongs to the Dress Parade card, but looks great with this set. The window box shown below is incredibly rare. 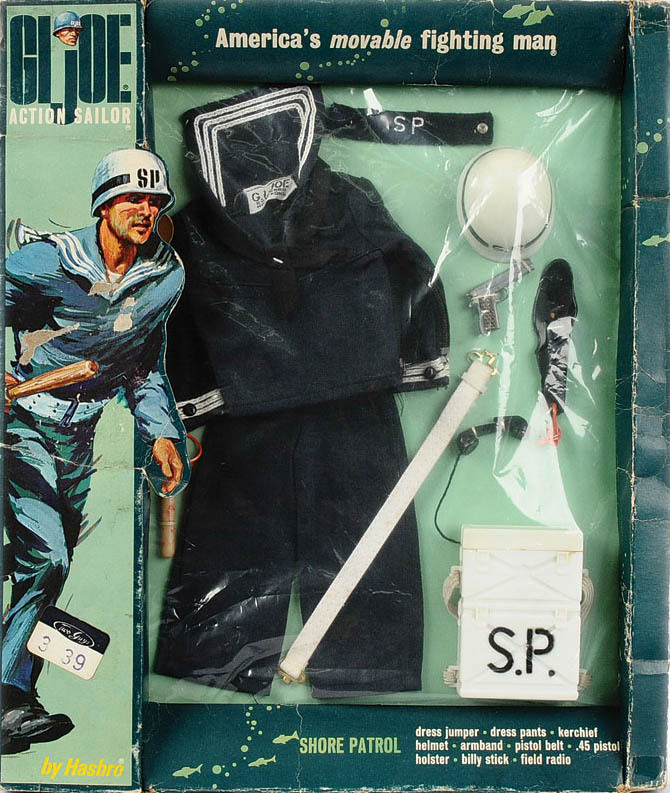 The example in the spin is on a Talking Sailor sporting a surplus SOTW head. 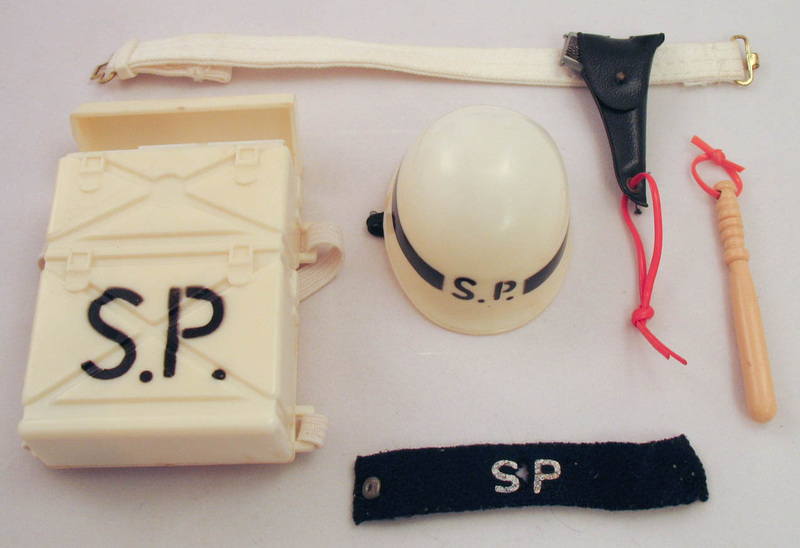 Accessories unique to this set include the striped SP helmet, the white SP radio, and an armband of woven wool (rather than felt) that features a snap closure (rather than a hook and eye). 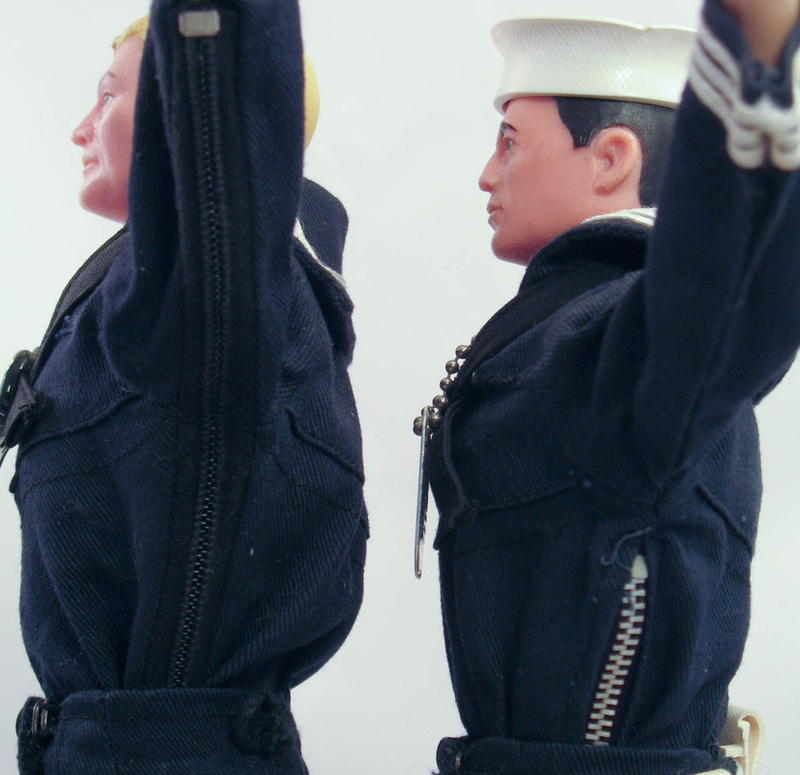 The sailor's tunic has a black zipper that runs from the waist right down to the cuff of the sleeve on this release, rather than the short silver zipper that just ran to the armpit of the 1964-66 version. Below, the incredibly rare 1967 window box, image copyright & courtesy of Vectis Auctions Ltd.